It's not just the 3DS that's getting full-scale digital downloads this year. 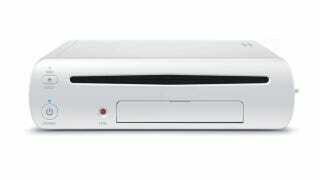 Nintendo's new Wii U console will be getting the feature as well. This means that new games released at retail on the system, at least those published by Nintendo, will also be available day-and-date to download. Interestingly, games will be downloaded through the eShop, but consumers will be buying download codes either from a retail store or an online vendor. Nintendo says prices will be determined by those third-party vendors, which in theory at least should lead to competition and - at least occasionally - lower prices. Nintendo is aiming to significantly expand its digital business. In August, New Super Mario Bros. 2 for the Nintendo 3DS system will launch both as a packaged game at retail stores and as a digital download in the Nintendo eShop. The majority of future Nintendo-published Nintendo 3DS games will have the same dual-distribution strategy. Likewise, the majority of Nintendo-published Wii U games will be available both as packaged products and as digital downloads starting on launch day. These downloadable games will be available for purchase at participating retail stores and on retailers' websites. Our customers can visit retail outlets or their online shopping sites, look for the products they want and pay for the product there. The retailers will then provide shoppers with a 16-digit code that can be exchanged in the Nintendo eShop for the game. This will give shoppers more options to find and purchase their favorite games.